Home Business and sales management When things get really bad (what to do) . . . When things get really bad (what to do) . . .
“Desperation” threads occur with some frequency on marketing forums. Business has dried up, the wolf is at the door, money is short . . what to do, what to do . . . Contractors have their own horror stories, and this Contractortalk.com posting shows some of the challenges. The company operates in Washington, D.C.’s northern Virginia suburbs (an area familiar to me from the years when we published a local construction newspaper in metro Washington). 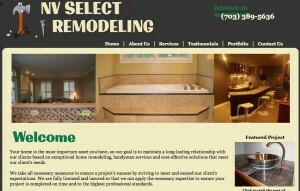 Further into the thread, we discover the business name, NV Select Remodeling, and its website. My husband and I run a local handyman / remodeling company in Northern Virginia and there isn’t a single project that we wouldn’t take on….I take that back. We won’t do additions, simply because we don’t have the manpower. 95% of our work lands great reviews and future business with the client and referrals. We’re young and motivated so we try to advertise all over the place with our limited funds. Chris is the contractor and does the work himself with two other stable helper as needed (depending on the project). We’ve somehow landed at a halt in work and it’s May!!! This should be the uproar of the season for us and we’ve been out of work for 2 weeks. It’s taken a serious toll on the business and personal well being. We’re doing our routine advertising and call backs to clients but no effective responses. A lot of people think we’re a bit pricey but we do not cut corners and we do give hand outs a lot. None the less, we provide the completed project under the time we allowed. People seem to want bigger contractors or guys that work for 9 bucks an hour! I am neither of those. I am a general person that takes pride in the work we perform for clients. As its much more rewarding to get a smile then a shrug. Any advice would help, any new marketing ideas, e-mailing ideas or just general help would be great. As a reference – our last client we bidded an exterior trim replacement job went for the guys that were half our price (relying off her word) and we have done several jobs in the past for this client. We understand money is tight for her and we tried to bring our prices down as best as possible. For her townhome, the guys finished in two days, didn’t caulk, didn’t wood fill and only put one coat of Glidden paint on! She gave us a call a few days later asking if we could caulk, wood fill and put the extra coat of paint on with decent brand paint and we re-estimated our price and she went with us. This just goes to show that the $9/hour guys literally cut corners and would take money over a smile any day. Responses: Don’t be so scatter-brained, and if you want to get some business quickly, look at your previous client list and see if you can drum up some repeat and referral business. A few posters asked about the website, some speculating the contractor didn’t have one. Then we discover the website; not perfect by any means, but a lot better than many out there. Make a list of all the contact info you have for all your past contacts and start cultivating referrals. Draft an email, pre write some copy to use for phone calls, write a letter and mail it. Nothing quicker than a referral lead. Call on all of your past customers–tell them you have a hole in your schedule and have time for smaller jobs that you might not normaly take on. You will be pleased with the reactions. 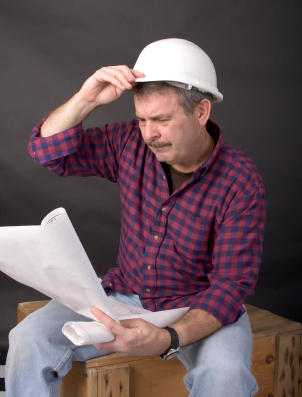 This often leads to a discussion about a remodeling project or a referral to a friend with work. I call that ‘face time’ —keep your face in front of the customers. If the contractor asked me for that advice, I would suggest the same. And, yes, lots of free advice (much of it excellent) is available if you ask for help on the relevant support forums. Previous articleScript or no script: Can we learn from improv? Next articleIs NFC (Near-Field Communication) the next great lead generation/marketing thing?